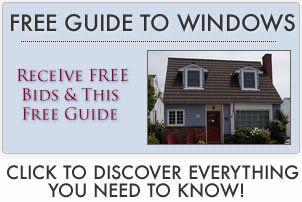 Curious about how to replace window glass yourself? While this project is not recommended for the average homeowner, for experienced DIYers, it can certainly save on installation costs. Here’s a step-by-step process on how to replace window glass in your home. Most importantly, you need to measure correctly for the new glass. The measurements must be exact or the pane will not fit properly in the frame itself. As with everything else, measure twice to ensure the proper measurements. In addition to width and height, you also need to know the thickness of the pane required. If you are removing a pane of glass intact (not broken), you can use the existing one to take your measurements. If possible, do this step before removing any old glass because the pane will need to be ordered and may take some time to come in. Remove the old window glass. Make sure you’re wearing gloves and protective eye wear. Gently pry off the edges of the window frame with a crowbar or other flat-edged tool. The type of frame you have will determine how this is done. If the glass is already broken or shattered, make sure you have something laid out to catch the shards. Decide if you’re reusing the old frames and if so, clean up the edges and make sure the frame is ready to accept the new pane. You can also opt to replace the window frame if it is damaged. If replacing the frame however, you may opt for a new window pane that already has the glass installed in the frame, eliminating the need for glass replacement on its own. When you have the new window pane, smooth down any rough spots on the edges with fine sandpaper, if necessary. Make sure the frame edges are clean and gently lay the new pane into place within the frame. Use screws or any included fasteners to hold the glass in place securely while replacing the exterior of the frame (gently!). Take great care not to damage the pane during this process! Once the glass pane is in place, use any caulk or sealer to secure it in place and create an airtight seal. You have now replaced the glass in the pane and can now insert the frame into the window opening.